It may only be a speck in the large expanse of the Pacific Ocean between Hawaii and New Zealand. But the opportunity is there for Samoa to rise up to the occasion and become the regional hub that its leaders espouse it to be, with a wave of uncertainty now descending in Fiji with the country set to hold its general election next month, and the region’s largest nation Papua New Guinea (P.N.G.) strangled by an economic and governance crisis. I am not sure if Prime Minister Tuilaepa Dr. Sa’ilele Malielegaoi had this behind his mind, when he took the podium yesterday at the second day of preparatory dialogue of SAMOA Pathway conference in Apia and talked about his Government’s key achievements before he began his formal address. “We let go of those stupid colonial guidelines,” he said, referring to the days of beginning work at 8 am. “So we changed our days to start at 9am. But I always tell my CEO’s – meetings begin at 10 am,” he said, laughing. “It falls to S.I.D.S. to own the SAMOA Pathway, and lead in its implementation if it is to be taken seriously by others,” he said. I have – since my arrival in Samoa 4 months ago – talked about the Samoan narrative and the need for Samoans in all spheres of life to take the opportunity to tell their story and to embrace the opportunities that come with it. Well here is a Prime Minister, who has played a big role in setting and exporting the Samoan narrative to the world – in politics (as an elder statesman in the Pacific, in sports (through his controversial role in Samoa Rugby Union) and even in religion, through his oratory prowess and ability to connect with the various denominations. And the opportunity is there for Samoa to become a regional leader, thanks to its high ranking in recent years on the Human Development Index with the United Nations ranking it in the High Human Development category with Fiji, Palau and Tonga. Not to mention the World Press Freedom Index where Samoa was ranked 22 this year, beating Fiji and PNG. The November 14 general election in Fiji has created an air of uncertainty, with three military coups in the last 31 years that led to the removal of democratically-elected governments still fresh in the minds of the locals as well as foreigners that are resident in Fiji. Further to the west, PNG is in a freefall, its growth chocked by a worsening economic crisis that the O’Neill Government tried to downplay over the last four years. While some see Port Moresby’s hosting of the APEC Leaders Summit next month as an opportunity for PNG to attract more foreign investment and get its economy back on track, the crippling of the Government’s basic service delivery to ordinary Papua New Guineans – due to the channeling of vital funding to the APEC-related expenses – has left millions of citizens frustrated at the lack of basic services and laid the foundations for the Opposition to move a vote of no confidence in the O’Neill regime in March next year. 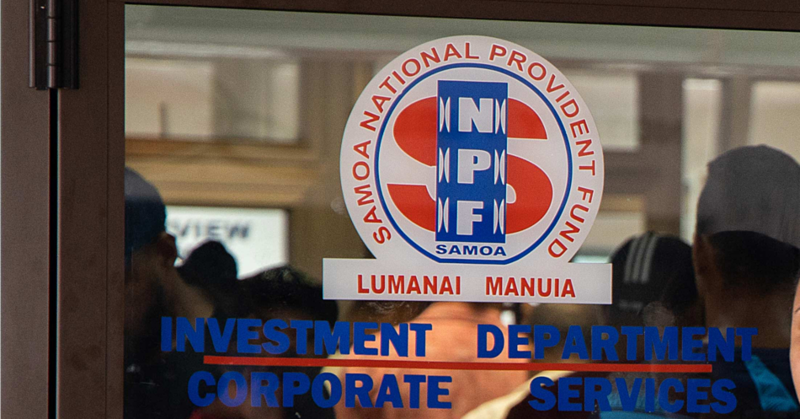 With the uncertainty surrounding the region’s two largest nations in Fiji and PNG, a vacuum now exists for Samoa to step up and be counted. The country’s current hosting of the SAMOA Pathway conference, last year’s Pacific Islands Forum Leaders Summit in Apia, and the 2019 Pacific Games augurs well for the direction that this nation is taking – thanks to the stability that the country has become recognised for over the years. The recent announcement by the British Government of its plans to open a High Commission in Apia next year, and discussions behind-the-scenes by certain UN agencies to consider setting up an office in Samoa only goes to confirm the respect that donor partners and the international community have for Samoa. To all the delegates who attended the week-long conference in Apia, we hope your short stay here gave you a taste of Samoan hospitality and we look forward to welcoming you as a visitor in the near future. God bless and have a lovely Wednesday.